Cultural Compulsive Disorder: 'Tetsuo: The Iron Man & Bullet Man' FINALLY Gets A HD Release... Japanese Cult Film Lovers Rejoice!!!! 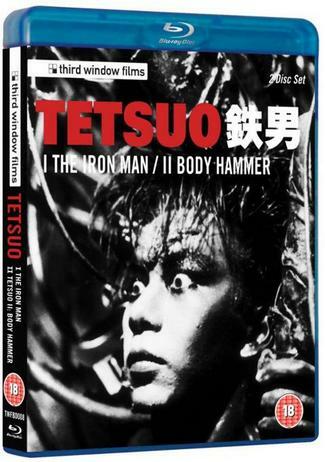 'Tetsuo: The Iron Man & Bullet Man' FINALLY Gets A HD Release... Japanese Cult Film Lovers Rejoice!!!! The first one was the weirdest movie I have ever seen. Even stranger than Eraserhead. The first Tetsuo is one of my all time favoriets, I love all of Tsukamoto's flicks!